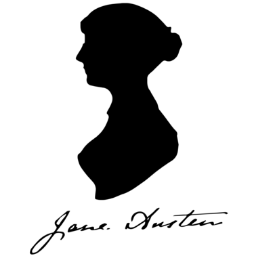 The Jane Austen Society of North America is a non-profit organization staffed by volunteers and dedicated to the enjoyment and appreciation of Jane Austen and her writing. JASNA is a committed network of thousands of members throughout the United States and Canada. Many members participate in the activities of one or more of JASNA’s 75+ regional groups, of which JASNA Central California is one. Each autumn 700 to 800+ members also gather for JASNA’s Annual General Meeting (AGM), a three-day conference with an Austen theme hosted by a JASNA region in the United States or Canada. Our publications and news bulletins keep members up to date with the latest information about Jane Austen and her writing. Publications: JASNA’s journals, Persuasions and Persuasions On-Line, and JASNA News, a quarterly newsletter. Other JASNA programs and activities that further the study and appreciation of Austen’s writing and life. Contributions to JASNA or any JASNA Region, which is a section 501(c)(3) tax-exempt organization, are tax-deductible and are gratefully acknowledged with a receipt. Our Region of JASNA generally covers Kern, Kings, Tulare, Fresno, Madera, and Merced counties in California, and points outward. Most meetings happen in the city of Fresno, but the occasional gathering in cities to the north and south are on the horizon. We host book discussions, talks and lectures, and costume or social events related to Jane Austen and the Regency Era.